The art of silversmithing is to send hands with hammers heart and head. On sight, hearing and feeling. Everything in your body does. Silver can be patiently transformed into what the smith has in mind. The final result is the sum of material, craftsmanship and creativity. During the 22 years that Paul de Vries works in Schoonhoven as an artist-silversmith, he has built a collection and an oeuvre that grew unconsciously. He doesn’t work from a specific theme, but usually he lets himself be guided by an inspiration until this automatically leads to another inspiration. The origin is often in nature. From microcosm to macrocosm. Paul searches for simplicity and elegance in formal language and give the material the last word about the skin finish. The story is leading in the form. 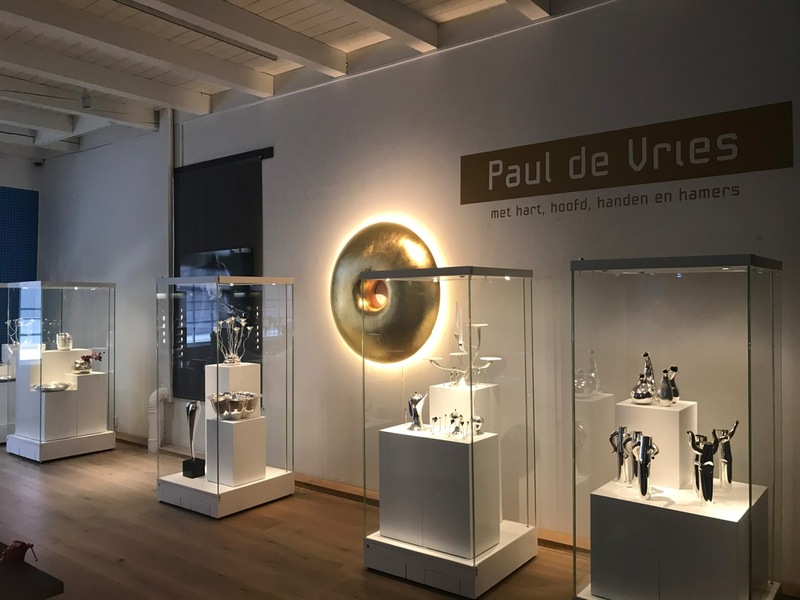 A solo-presentation in the Nederlands Zilvermuseum (Dutch Silvermuseum) represents Paul’s work from the last two decades.